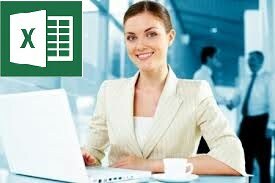 Do you know that Microsoft Excel 2013 comes with a plethora of new features. It is worth investing the time to learn these features, and make the most of the latest and greatest spreadsheet software by Microsoft. So what is so great about Microsoft Excel 2013? Plenty. 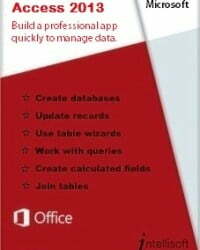 Our Master Trainer, Vinai Prakash take you to a tour of the new features in Excel 2013. 1. Quick Analysis Tool: The new Quick Analysis tool allows you to convert your data into a chart or a table in just two steps. Preview your data with conditional formatting, spark lines, or charts, and make your choice stick in just one click. 2. Instant Flash Fill: Flash Fill enters the rest of your data in one fell swoop, following the pattern it recognizes in your data. 3. Chart Recommendations: With Chart recommendations, Excel recommends the most suitable charts for your data. Get a quick peek to see how your data looks in the different charts, and then simply pick the one that shows the insights you want to present. 4. New Functions: There’s a whole slew of new functions in the math and trigonometry, statistical, engineering, date and time, lookup and reference, logical, and text function categories. 5. Smart Pivot Tables: In Excel 2013, When you create a PivotTable, Excel recommends several ways to summarize your data, and shows you a quick preview of the field layouts so you can pick the one that gives you the insights you’re looking for. In the new Excel Data Model, you’ll be able to navigate to different levels more easily. Use Drill Down into a Pivot Table or Pivot Chart hierarchy to see granular levels of detail, and Drill Up to go to a higher level for “big picture” insights. 6. Improved Collaboration Tools: Working with other people on shared files in real time is a double-edged sword. While it’s useful to do this, you will face problems when two people try to change the same item at the same time. In Excel 2013 you can share and work collaboratively on files with others via SkyDrive using the Excel WebApp, and multiple people can work on the same file at the same time. 7. Standalone Pivot Charts: A PivotChart no longer has to be associated with a PivotTable. A standalone or de-coupled PivotChart lets you experience new ways to navigate to data details by using the new Drill Down, and Drill Up features. It’s also much easier to copy or move a de-coupled PivotChart. Learn Excel 2013 in 2-3 Short Day Training: With so many new features, it is important that you learn these features, to improve your efficiency, productivity, and make use of these new features. After all, what is the point of using the latest software if you do not use its latest and greatest features. Do contact us at Intellisoft to attend our Basic Excel 2013, or Advanced Excel 2013 training courses at our training centre, or have a Customized Corporate Training on Excel 2013 at your office. We also provide WSQ Funded courses for Excel 2013, which means that up to 95% of the course fee is funded by the Singapore Government. Terms & Conditions apply, so contact us for more information on training fees, Grants and customized solutions for your company. Pivot tables are a great boon in Excel. Previously, getting IT departments to write custom reports used to take ages. And even if you could get a report written for your needs, by the time you got it, it was too late, or you wanted to look at information from another angle. With Pivot tables, you can now create your own reports in no time. And you can slice and dice information pretty easily, with just a few clicks. However, even though Pivot tables are great, they are not the best tool for presenting information for the senior management. There may be times when you want to pick up certain information from the pivot table, format it nicely, and present it with other summary figures. 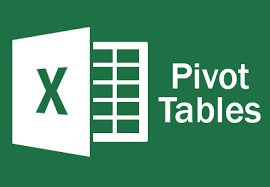 To use the summarized data from the pivot table, but make it more presentable, you can use an extremely useful function of Excel called the GetPivotData. It is very easy to get this function to work. This little gem is hidden right within the Pivot Toolbar. Just right click on the Pivot Toolbar, right at the end, and select customize. Pick Add/Remove Buttons. Select GetPivotData button. This is a toggle button – click it once and it gets enabled, and another click disables it. You can see a slight change in the icon when it is enabled or disabled. Once the button is highlighted, you can begin writing your formula. Start with a = sign in a black cell where you want a pivot table value. then point to any cell in the Pivot Table. Its value is captured in your formula. As long as the data is available and visible in the Pivot table, you can move the data around from rows to columns or page fields, but it will still appear correctly in the presentation area. Go ahead. Give it a try and make your data presentation summaries more dynamic and presentable. Any questions or comments, do let me know.